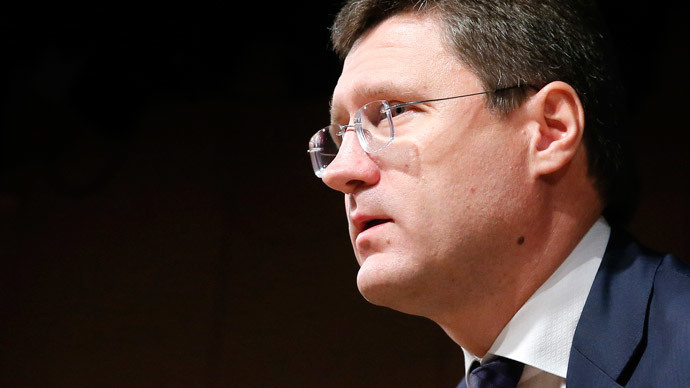 Russia and Ukraine could settle out of court their counter lawsuits filed in Stockholm Arbitration Court, said Russian Energy Minister Aleksandr Novak, adding that so far Kiev hasn't made any progress in settling its $2.3 billion gas debt. "Theoretically, everything is possible. In my opinion, the talks should continue,” Novak told reporters on Tuesday at a news conference in Budapest. The minister said the lawsuit was filed by Gazprom at the Arbitration Court in Stockholm in July 2014. Gazprom wanted the Ukrainian gas company Naftogaz to pay off $4.5 billion in debt and interest. Naftogaz, in turn, filed a counterclaim which insisted on a gas price revision and the recovery of 'overpayments' for gas never supplied amounting to $6 billion. The hearings are expected to be held in February-March 2016, with the arbitration scheduled to be completed by June 2016. Meanwhile Ukraine appears not to have done anything to pay the remaining $2.3 billion it owes for Russian gas, said Novak. Russia stopped supplying gas to Ukraine for almost six months in 2014. In June Gazprom switched Naftogaz over to a prepayment system because of its debts, and deliveries only resumed in December. Russia and Ukraine haven’t yet settled the question of extending the discount for Russian gas. If it’s not resolved by April, gas will become more expensive despite the drop in oil prices, Novak said, adding the price will be calculated according to the formula in the contract. "The price is most likely to fall by the formula, as the cost of oil products, which defines the price of gas, has decreased. But it cannot decrease relative to the first quarter, where discounts are included," he said. A discount of $100 per thousand cubic meters was provided by the Russian government as part of the so-called ‘winter plan’ which runs out at the end of the first quarter. In November and December, the price was $378 per thousand cubic meters. In the first quarter of 2015 it fell to $329. According to the contract signed between Gazprom and Naftogaz, the price of Russian gas supplied to Ukraine depends on oil prices, which have seen a steep fall over the past year.